OpenCoin, the company behind the Ripple payment system, has announced that it should finally be made available via an open source license next week. Ripple, which features both a payment network and its own ripple currency (XRP), began circulating some of the 100bn pre-mined ripples earlier this year. Since then, OpenCoin has drawn considerable flak from the community for maintaining a closed-sourced approach with Ripple. However, the founders (who retained 20% of the entirely pre-mined currency for themselves) have consistently said that they planned to open source it at some point in the future. It is this software, called rippled, that will be released under what is known as an ISC licence. Written by the Internet Systems Consortium (ISC), it is said to be similar to the Simplified BSD license, and has been accepted by the Free Software Foundation. Interested parties will be able to download the source from the ripple page on GitHub. Taking the Ripple system open source at this point makes good political sense for OpenCoin. It is running its first developer conference at Money2020, the emerging payments and financial services conference, in Las Vegas on October 10. The firm will be describing the internal workings of Ripple, and running demonstrations of integration with merchants and gateways. This integration is perhaps one of the biggest commercial challenges facing Ripple at the moment, said Jered Kenna, CEO of Tradehill, a bitcoin and ripple exchange for high net worth individuals, which right now is off-line, due to banking issues. “Open sourcing the code builds confidence in both the Ripple network and OpenCoin’s stewardship. It also helps exchanges and money services business evaluate what it means to become a Ripple gateway,” said Kenna. Current Ripple gateways include US-based SnapSwap, Ripple China and Ripplecn from China, and Justcoin and Bitstamp from Europe. 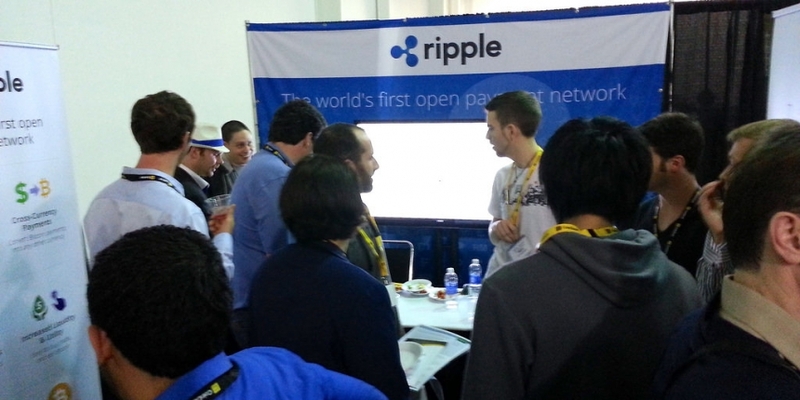 Open-source announcement and Opencoin Inc. changing name to Ripple Labs Inc.